What is sports massage and remedial massage? To book a slot at the Worthing clinic, please use the following form. If you need to book a two hour session, please book two slots separately next to each other. Additional techniques used include myofascial release, kinesiology and energy release. 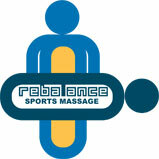 Rebalance Sports Massage Ltd. Company number 11141714, registered in England & Wales.